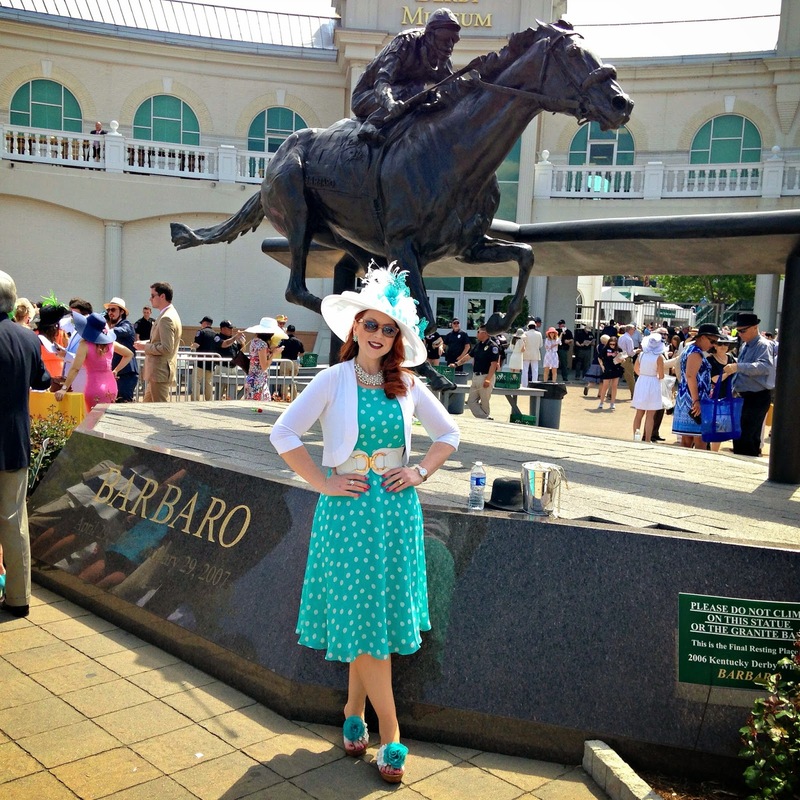 The weather was perfect for both the Oaks and the Derby this year. I'm so glad I didn't have to cover up my aqua polka dot dress from Jessica Howard under a rain poncho. This year's Kentucky Derby is in the books, but I've already registered for next year's tickets! 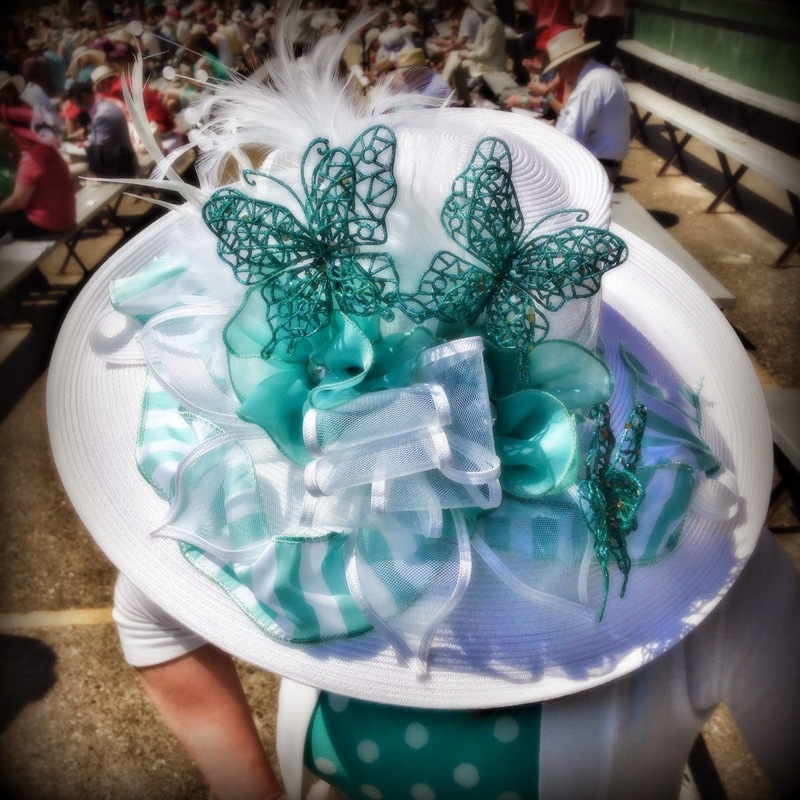 It's not too early, people - if you have your own Derby dreams, you can register here for 2016! If you saw my recent post "Toast to the Oaks," you know the process used to be much more challenging, but now you're only a few clicks away from an opportunity to purchase tickets during an exclusive online pre-sale in the Fall. It's still not easy to guarantee your spot for this in-demand, always sold out event, but you'll have a much better shot if you take advantage of the pre-sale. 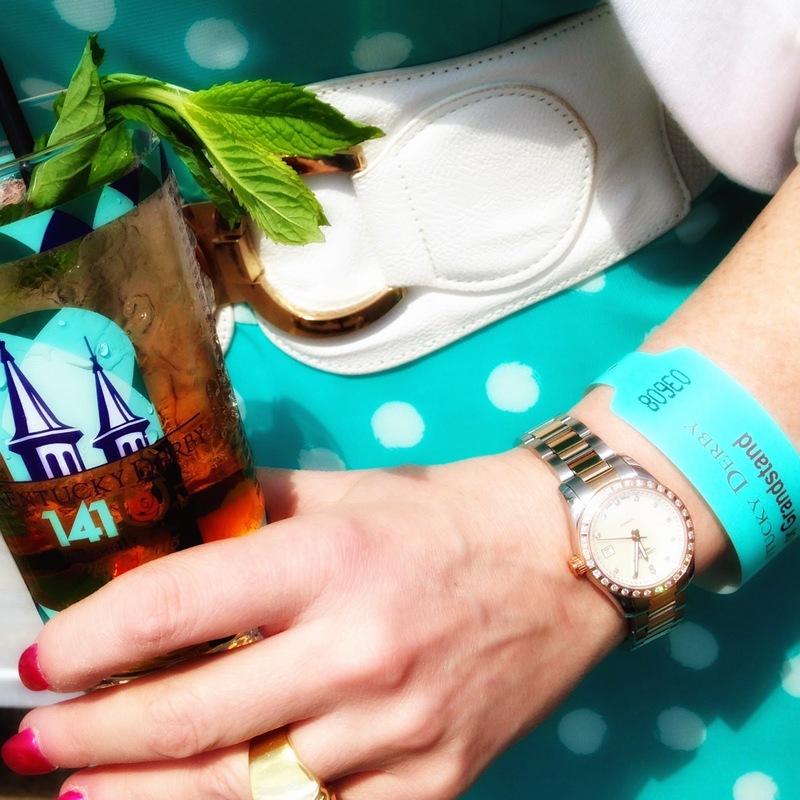 Coincidentally, this year's souvenir mint julep glasses and Grandstand wristbands were a perfect match to my Derby day attire. 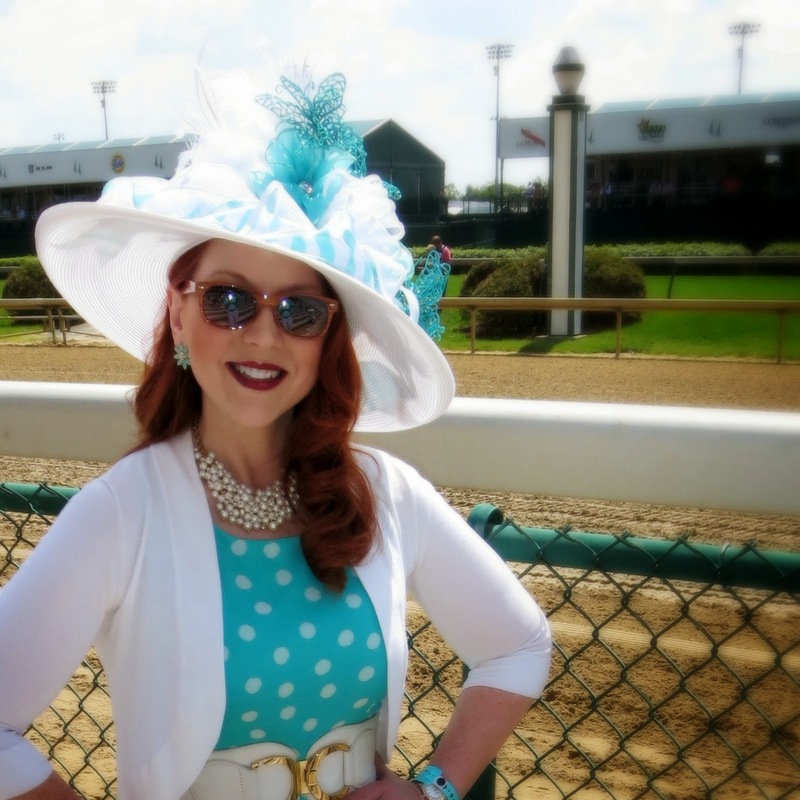 I'd also brought a watch with an aqua leather band, but I swapped it out for the beautiful Longines Conquest Classic I won in this year's Longines Kentucky Oaks Fashion Show - definitely my luckiest day at the racetrack, ever! 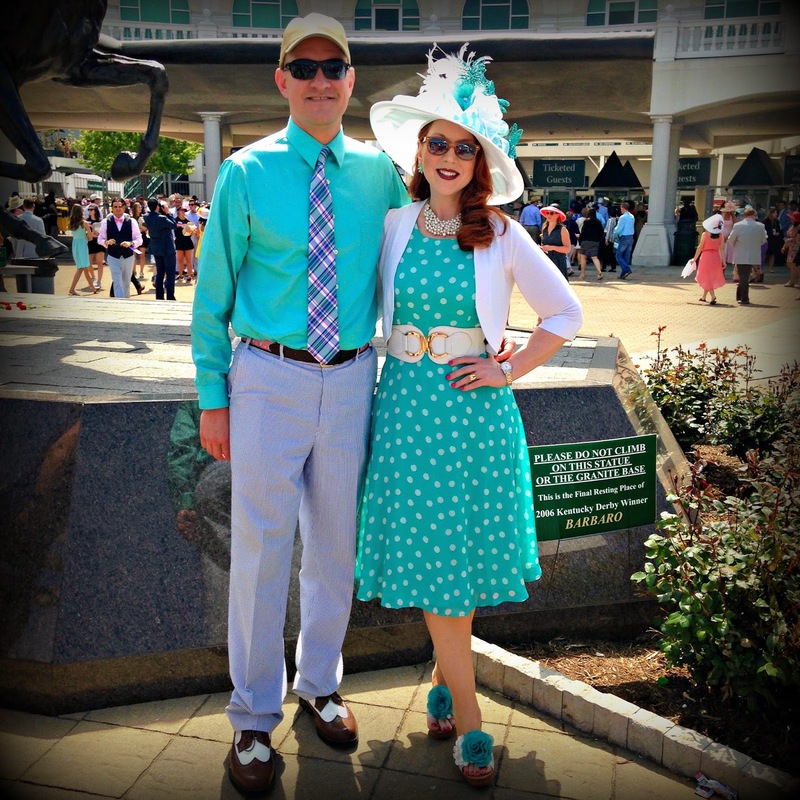 I don't think I'll ever get tired of spending the first weekend in May at Churchill Downs. What started as a bucket list adventure has become a tradition that I treasure. Someday, I'd love to complete the Triple Crown circuit with a trip to the Preakness and the Belmont Stakes. This hat was self-embellished to coordinate with the dress. 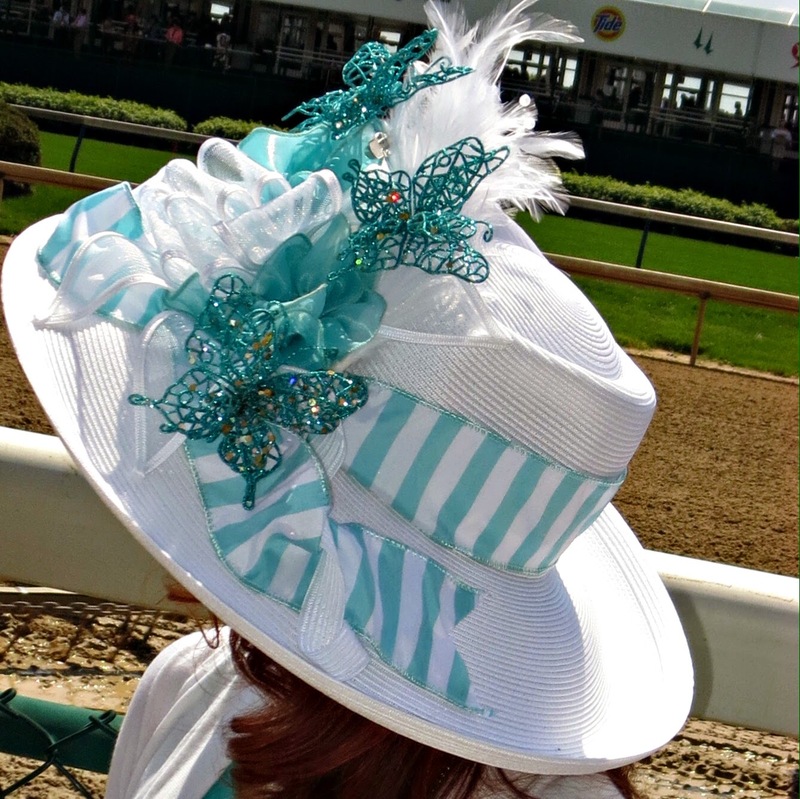 A few sparkles here and there are always appropriate at the Derby. If you are a lover of hats, you may also enjoy the monthly Hat Attack series by the Style Crone. But I've also loved horses and everything horse related since I was toddler, and the smell of saddle leather in a well-stocked tack room is my favorite smell on the planet. As a child, my room was decorated floor to ceiling in all things equine, and my Mom often found me schooling my barbies to "keep their heels down" when they "rode" my vast collection of Breyer horses - a common refrain I picked up from my Aunt Linda, who gave riding lessons at her farm just down the road. 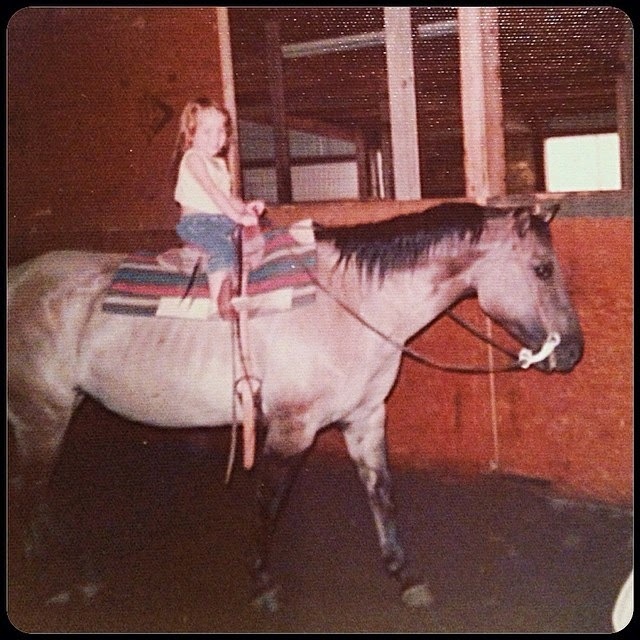 My Mom and I also kept our own horses there, trail riding or just tooling around the fields or the indoor arena whenever we had the opportunity. With my first love, Arkansas Traveler. We called him Arkie and together we had a million imaginary adventures. I miss riding with my Mom and my Aunt, and I miss the smell of the tack room. To this day, even the hint of saddle leather in the air brings back countless memories. I think one day owning another horse might be on my bucket list right along with a trip to the Preakness and the Belmont.